What are robshuur and morin khuur? The robshuur is a two-stringed banjo and the morin khuur is a horsehead fiddle; both traditional musical instruments from Mongolia. As part of MSO’s Chinese New Year concert, Hanggai will perform using these traditional instruments alongside Western drum sets and electric guitars to create music with Mongolian characteristics. 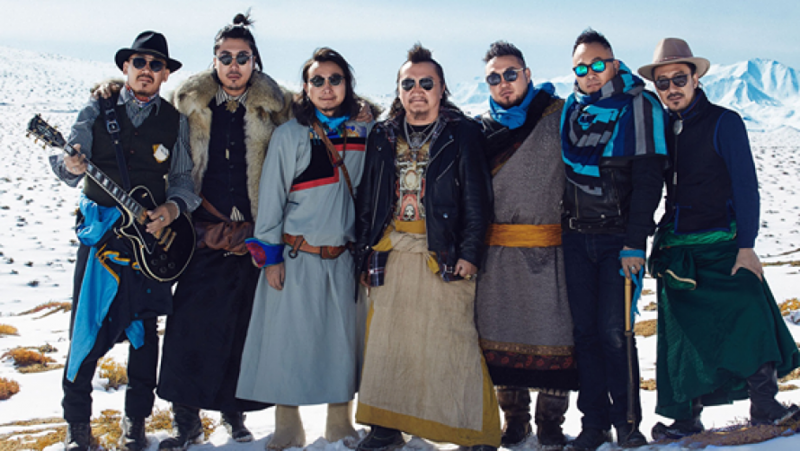 Hanggai, a renowned band hailing from China, create music that taps into the roots of Mongolian folk while integrating with contemporary rock. The seven-piece band will perform with the full Melbourne Symphony Orchestra for the annual Chinese New Year concert. Concert goers will also be treated to works by legendary composer and conductor Tan Dun (who wrote the Academy Award-winning soundtrack for Ang Lee’s Crouching Tiger, Hidden Dragon), including his interactive cellphone symphony titled Passacaglia (Secret of Wind and Birds) in which audience members use their mobile phones to a birdsong.